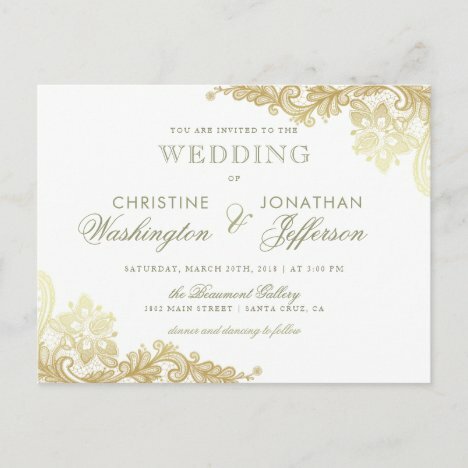 Chic White & Gold Foil Floral Lace Wedding by Scriptoria. 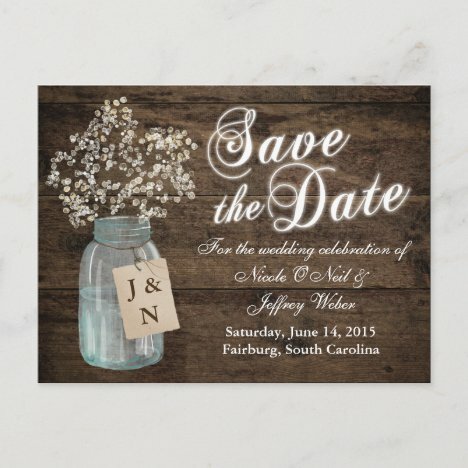 A simple layout with modern rustic charm. 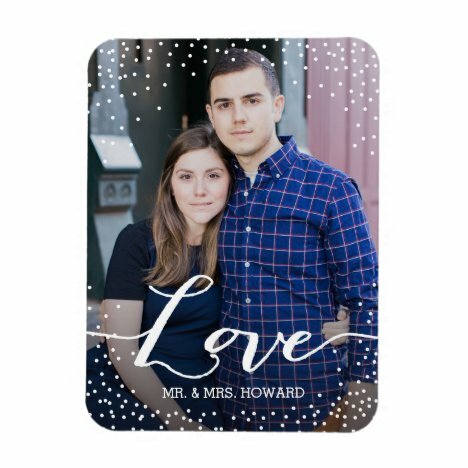 Customize the text and add your photo. 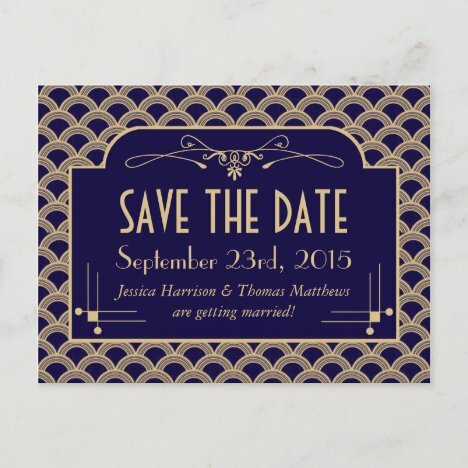 The Vintage 1920's Art Deco Gatsby Wedding Collection – Save The Date Postcards. 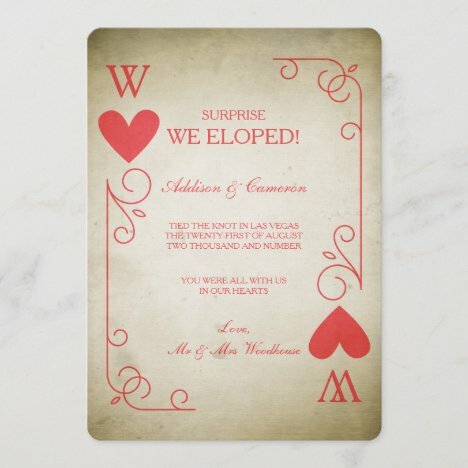 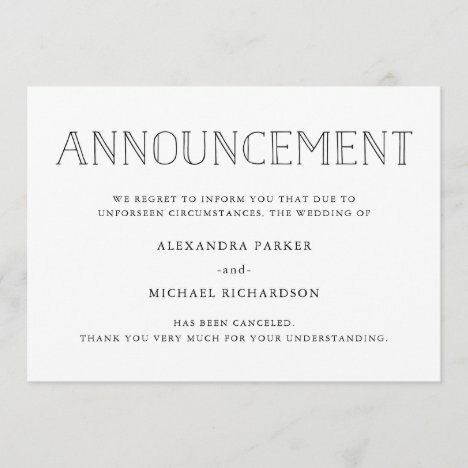 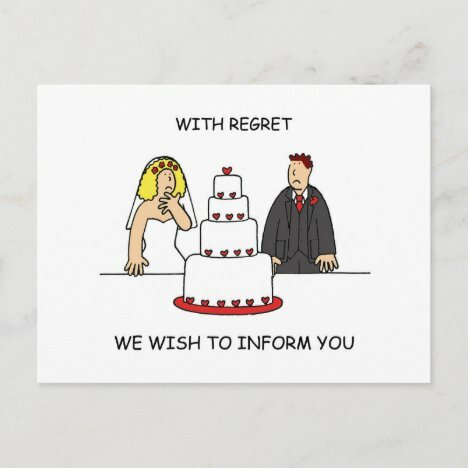 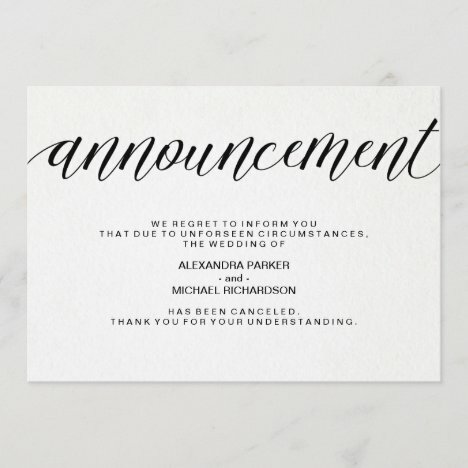 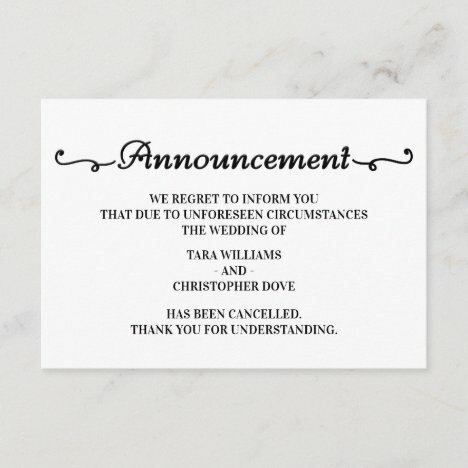 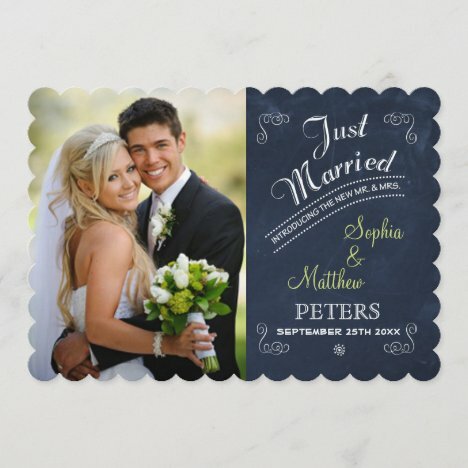 This simple, modern card lets everyone know in a tasteful manner that your upcoming wedding has been canceled. 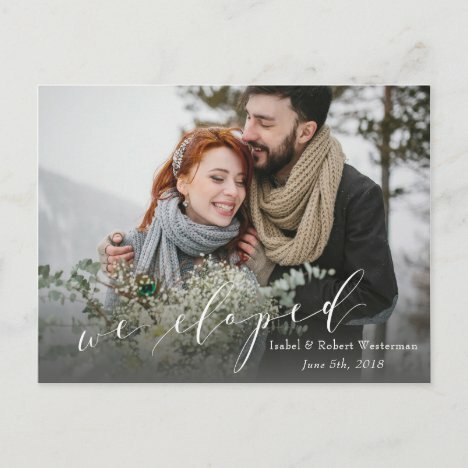 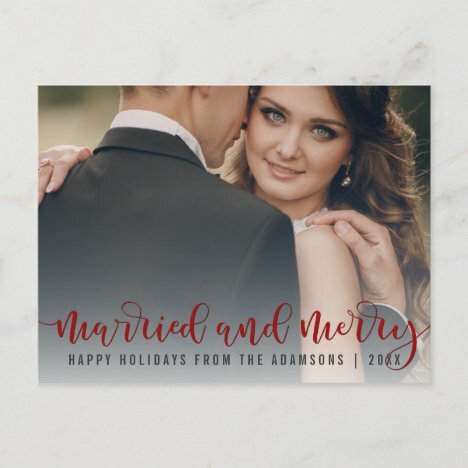 Rustic photo thank you wedding announcement postcard. 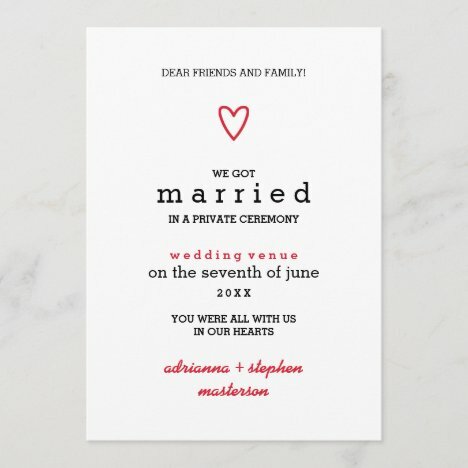 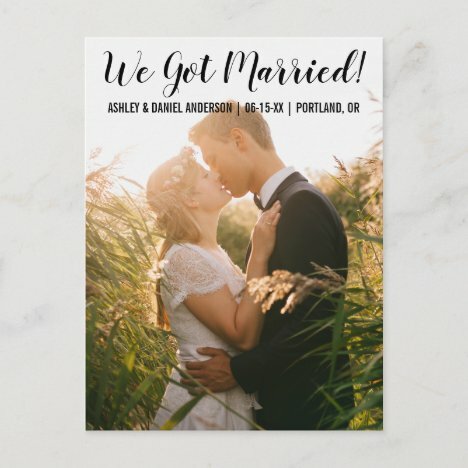 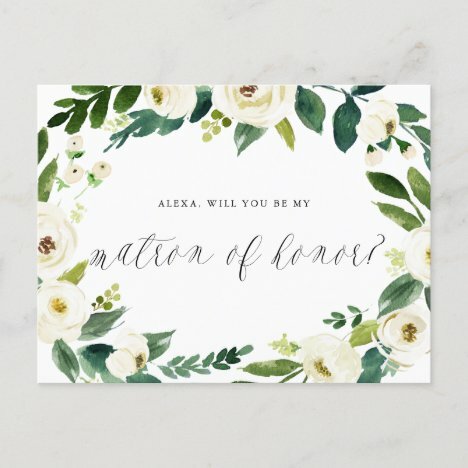 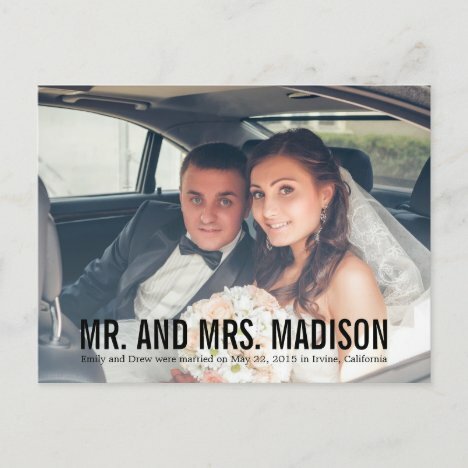 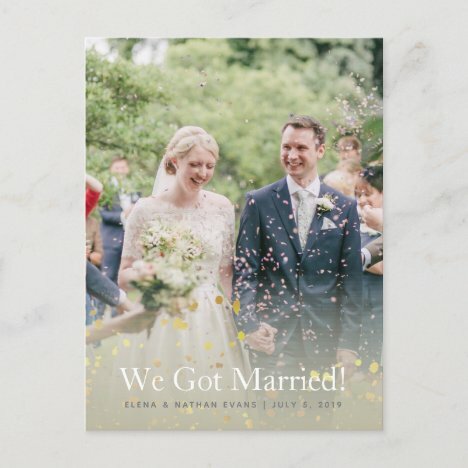 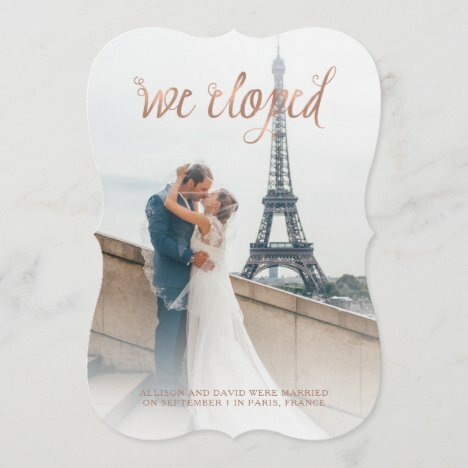 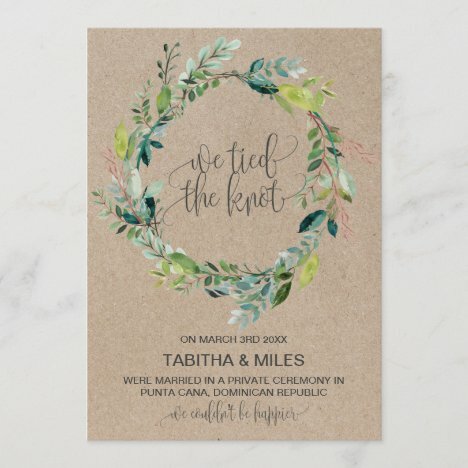 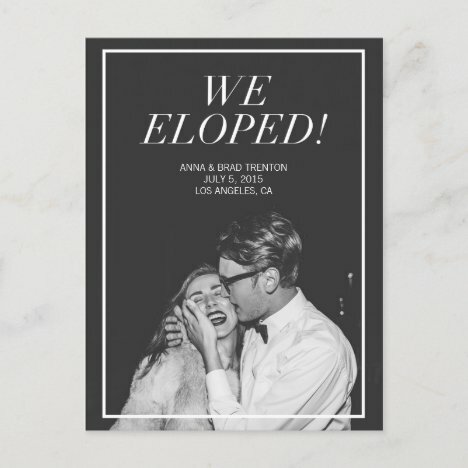 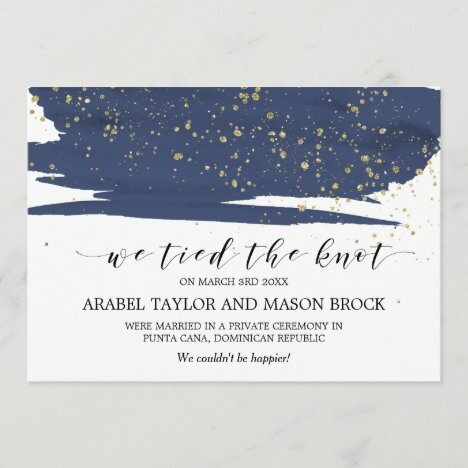 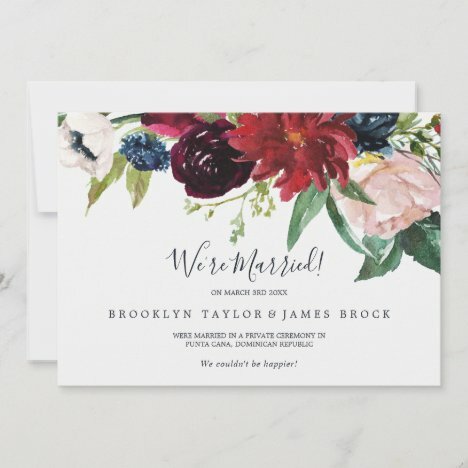 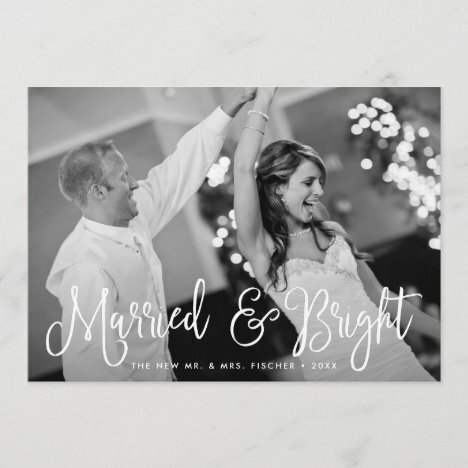 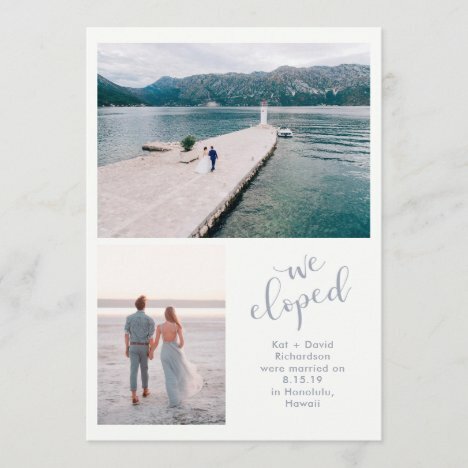 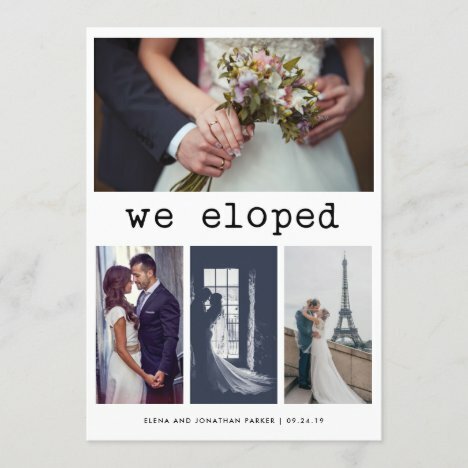 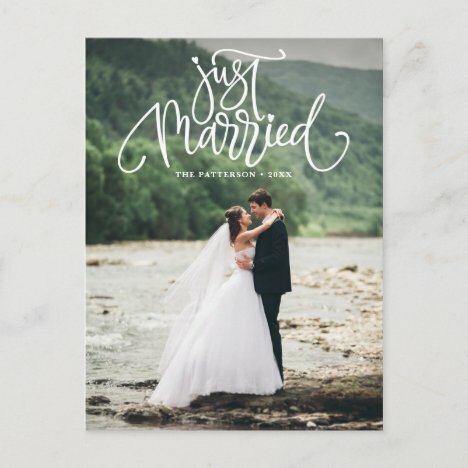 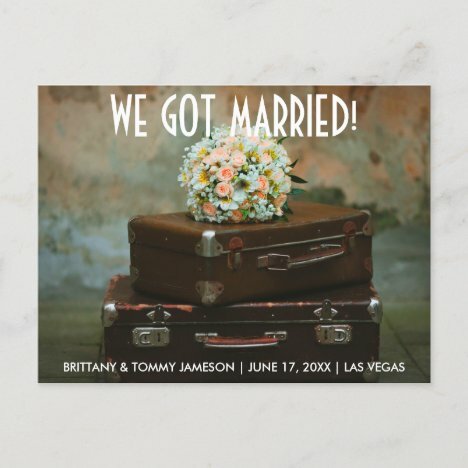 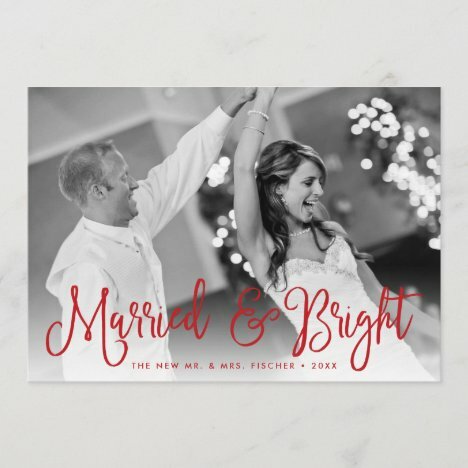 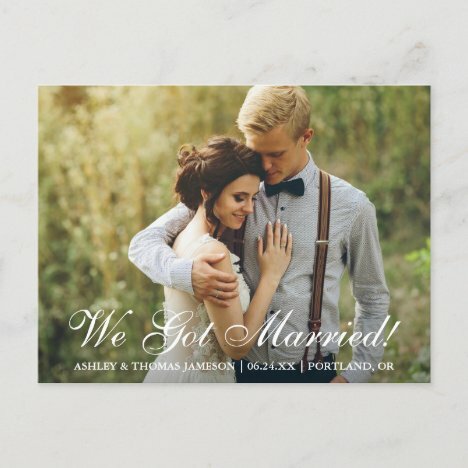 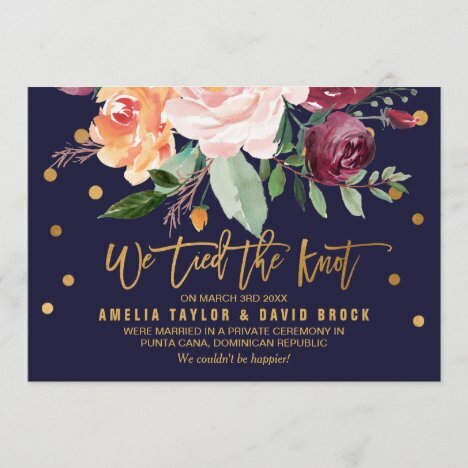 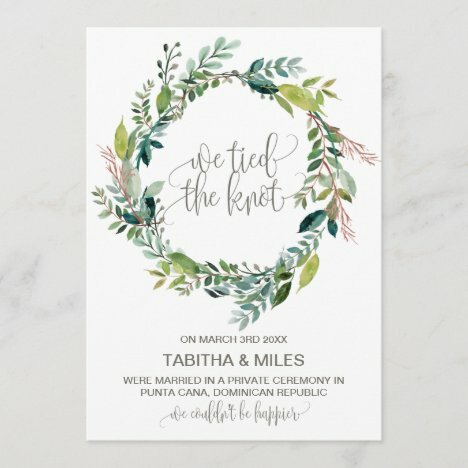 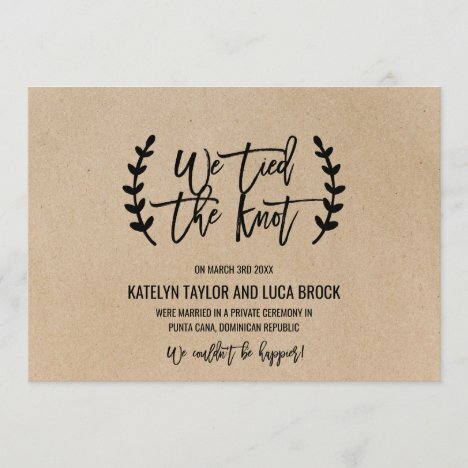 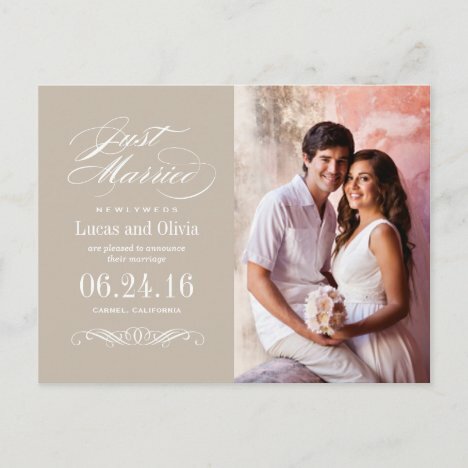 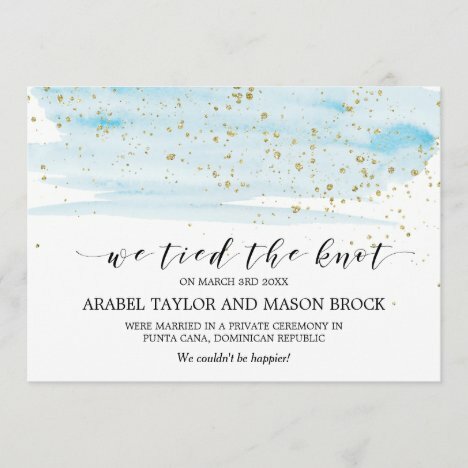 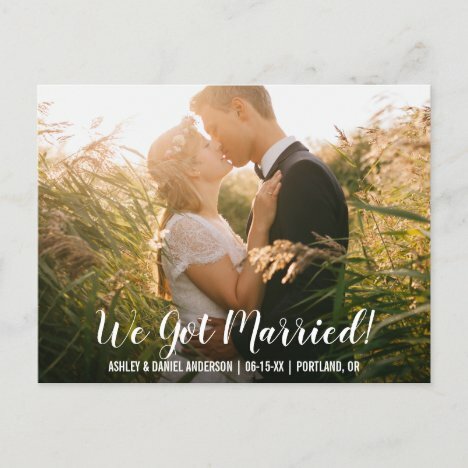 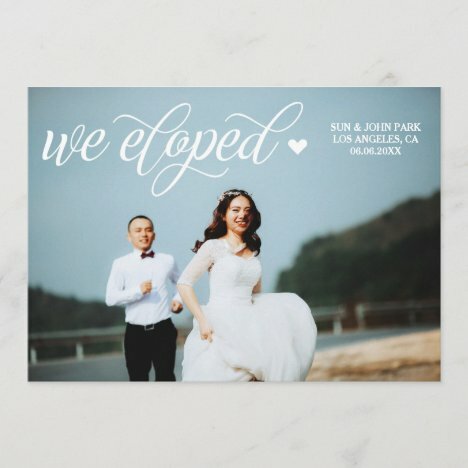 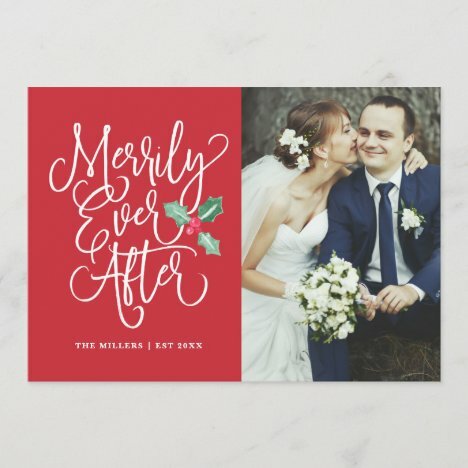 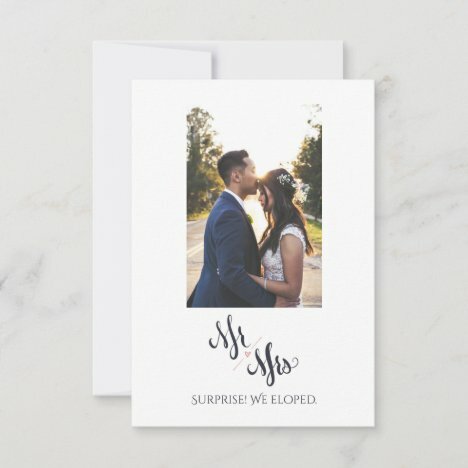 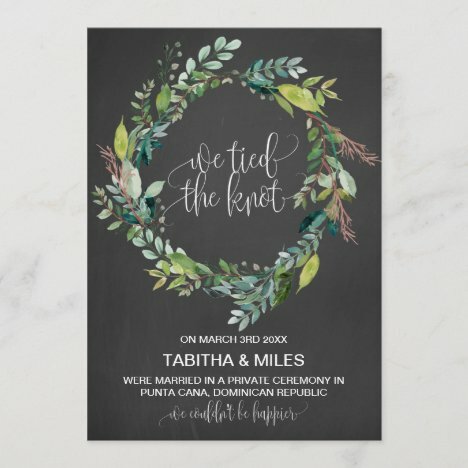 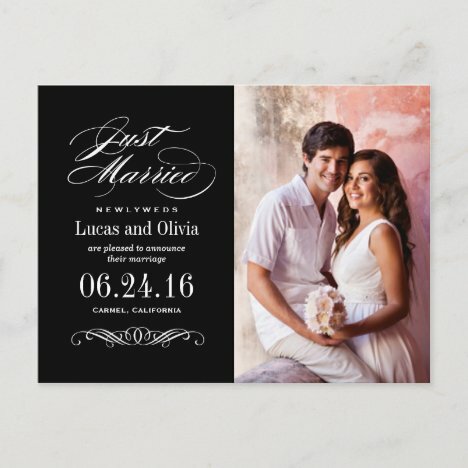 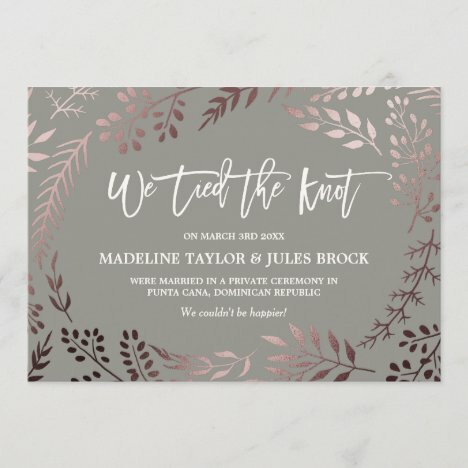 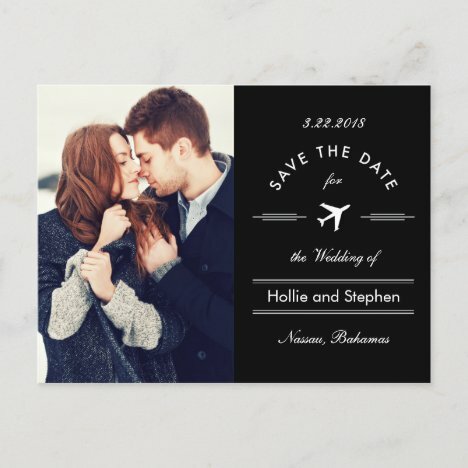 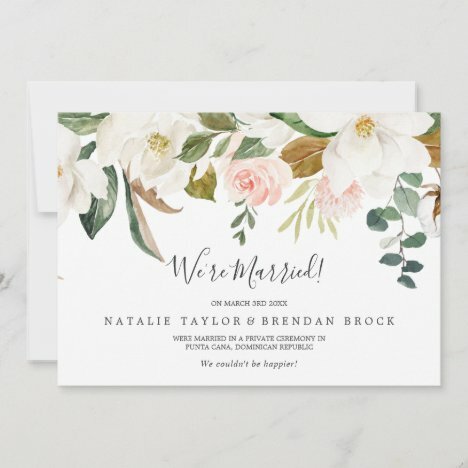 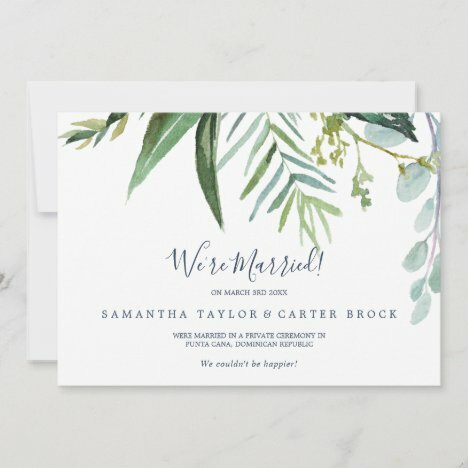 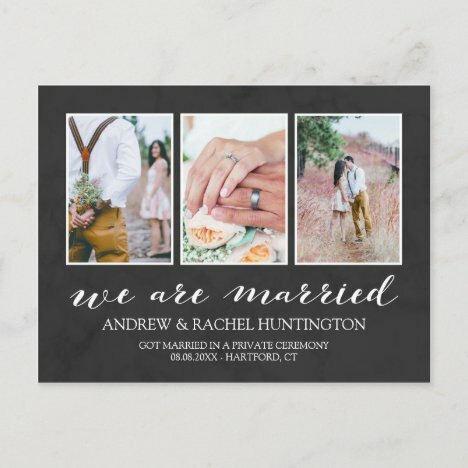 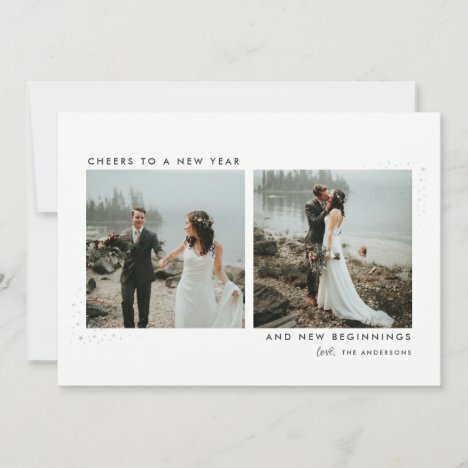 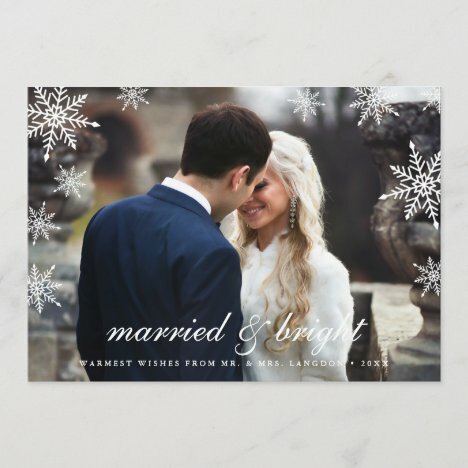 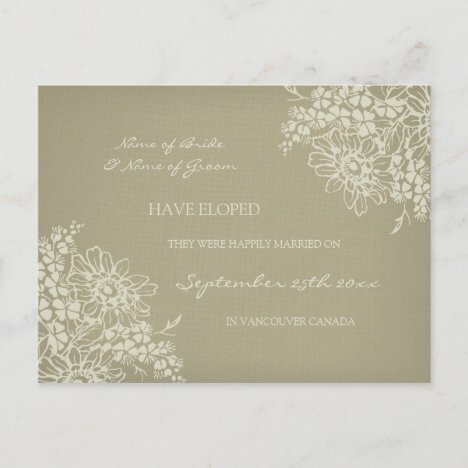 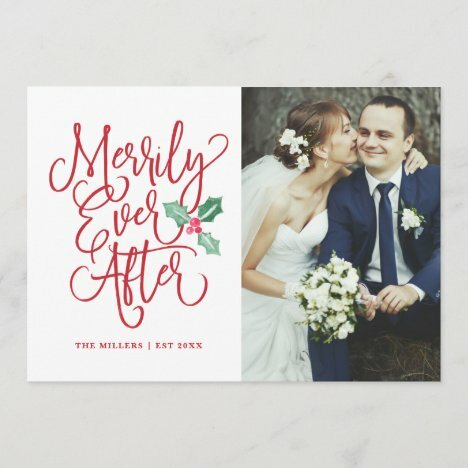 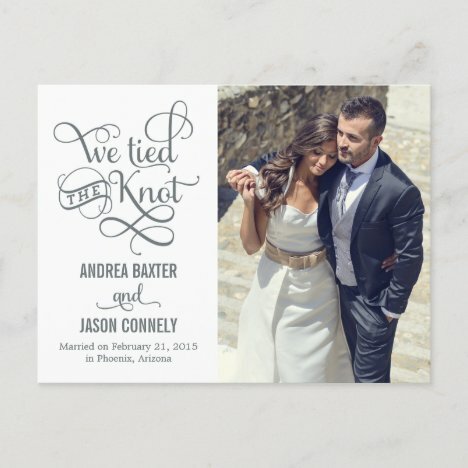 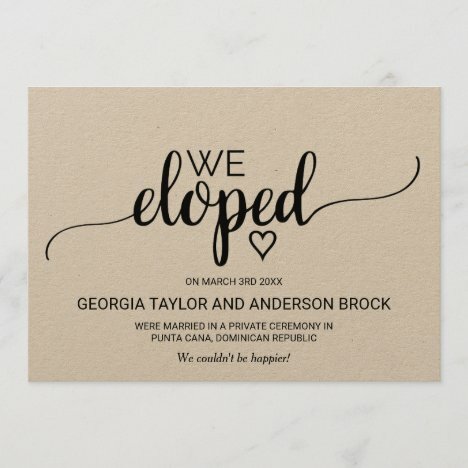 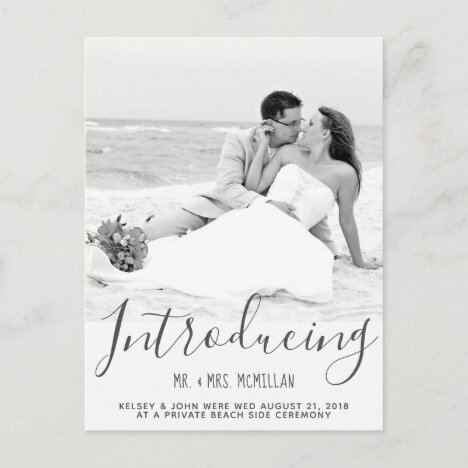 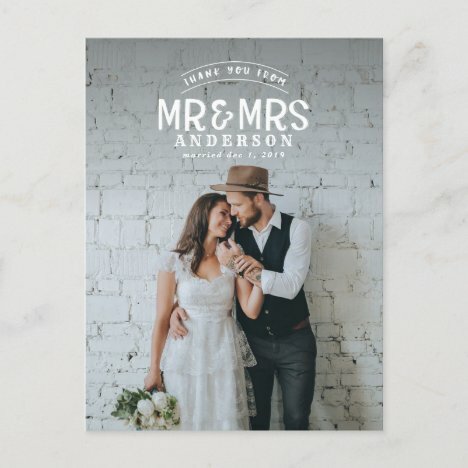 Minimal, informal wedding announcement for the modern couple.